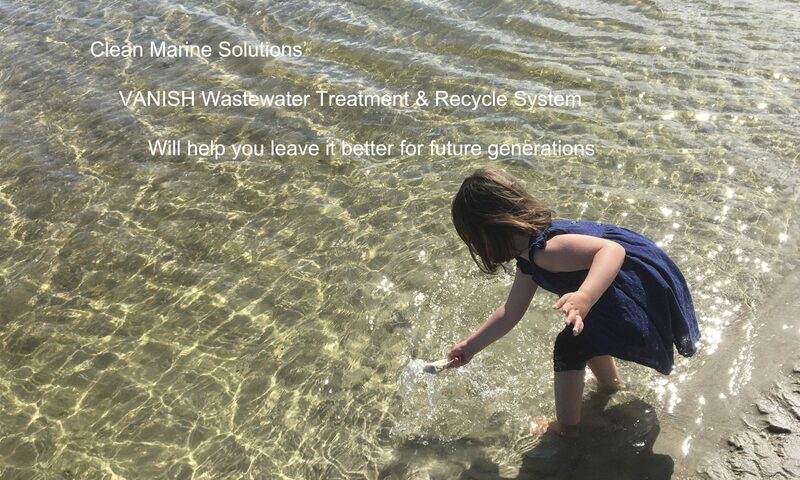 Clean Marine Solutions’ mission is to help wastewater generators become compliant the Federal Clean Water Act by offering affordable and easy to use wastewater treatment and recycle systems. Our average customer spends about $300 annually on service and supply costs. We do not know of any competitor system that can beat our service and supply costs. Our mission is also to build a system that leads the industry in removing toxins in wastewater. We also assist with permitting. In North Carolina, the only boatyards that are legally washing boats have a VANISH System and we wrote their permit. We build manual treatment systems for small wastewater generators that start below $2,000. Clean Marine Solutions will help you decide what size system you need so that you get the Best Bang for Your Buck. In achieving our mission goals we are proud to be a part of reversing decades of environmental degradation caused by the flow of toxic power-wash wastewater into our precious and fragile waterways. A CMS VANISH300 System was selected as part of an effort to help boatyards and marinas on San Francisco Bay to become compliant with the Federal Clean Water Act. San Francisco Baykeeper, an environmental non-profit, provided funding to the Spaulding Wooden Boat Center in Sausalito to redesign its facility with cutting-edge pollution control measures. To this end, Spaulding purchased Clean Marine Solutions’ VANISH300 Wastewater Treatment & Recycling System. The Spaulding Center will use the VANISH to educate local boatyard and marina owners on how to reduce pollution of the Bay from boat repair and maintenance operations. And incredibly, permitting in California was the easiest we have encountered.